When writing seems too hard, are we talking structure or form? We have struggled in our homeschool with both-from getting my hyperactive child to focus on one idea and relaying it comprehensively to watching my son with dysgraphia squeeze his pencil tightly, as if willing the letters to look right to his own dyslexic eyes. Writing has not been an easy art for us. When first homeschooling, I thought my children HAD to do it by-the-book. Just like public school: Teach a lesson, see results. Submitting the matter in prayer, I found a way to claim peace. The hard part would be letting go of what I thought they HAD to do and remembering all God requires of them . . . and me. God showed me where I was caring more about what others thought (especially my critics) instead of giving my children the tools they needed to succeed (which for a time were more like crutches). I had been exasperating them with expectations they just couldn't meet. I was complicating the process of learning and ignoring the fact that all things, through the Lord and love, would work together to produce results. If God gave grace . . . surely I could too. We began using copywork. I read articles from seasoned homeschoolers who recommended this form of writing for training children in good grammar and structure. Through using good literature excerpts, the children's structure and spelling has improved far more than when I simply taught a lesson and expected understanding and results. They have grown in their ability to contain thoughts and focus main ideas as well. Their own writing projects are seeing far fewer red marks and much more praise! A wonderful bonus: Some copywork comes from Scripture. It has helped them learn new verses and planted a desire to copy more! I often see them copying their latest favorite verse to save! God is winning their hearts and growing their abilities! As for my dysgraphic child, I submitted to letting him trace and accepted dictation on big projects and rough days. His handwriting actually improved, and his frustration declined! His writing will always be wild and messy when he's not trying, but he can finally contain his letters and space when needed, something he could never do before. I praise God for His guidance through the times when the very idea of contained writing seemed hopeless. The simple answer to when teaching writing is hard: Let go of your inhibitions, ease up on your expectations, and see your children as God does; individually and with love. Learn how you can grow their skills using their strengths and trusting the Lord with each step. Learning gaps and naysayers will quickly be closed and quieted--the results will speak for themselves. No two weeks are the same in our homeschool. Brenden, with his Dysgraphia and Dyslexia, will always struggle but he tries hard and makes steady progress. He no longer groans or protests writing and reading. Ashley, my 13 year old ADHD (and stubborn) child, still puts up a fight sometimes. Just this week she was protesting writing up interview questions because she just [didn't] want to! But any week and every week of homeschool I would rather take the blunt then not have that precious (even in the rough spots, precious) time. 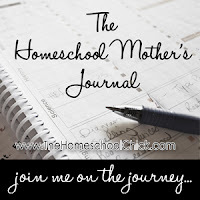 That is just one mom's week and experience in homeschooling! Copyright, 2012. Used with permission. All rights reserved by author. Originally appeared in The Homeschool Minute, February 14, 2012. Visit The Old Schoolhouse® at www.TheHomeschoolMagazine.com to view a full-length sample copy of the magazine especially for homeschoolers. 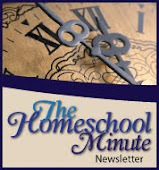 Sign up for The Homeschool Minute here. Traci, Thank you... I felt Led through these words because of the years of trial-and-error which might be of help to others. There are so many other details and directions left out here... but you get the idea. 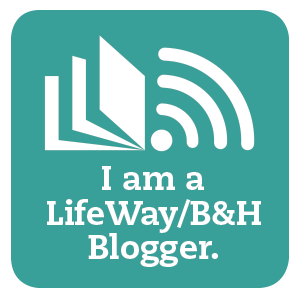 It is hard to break the mold of public school and I guess this is one area where reading/listening to seasoned homeschool vets can really help... to see what works/doesn't work/and simply what is not needed as we think it is. So much of life is trial-and-error, our kids will get it if we give them a chance to stretch and not just sit in a box :-) One of so many reasons I LOVE homeschooling! May God guide you as you teach and lead and let go! Thanks for the reminder. Just because it isn't just like I would do it - doesn't make it wrong! !